Some things are just great from scratch and this Peruvian recipe is so so tasty. It is not a 5 minute soup by far and it does need more ingredients than most soups BUT the end result is fantastic. While I was listening to Vangelis' 1942 Soundtrack, which on its own is sublime music I was cooking this Peruvian dish. This is a slow, take your time soup, because at the end great food needs time. Chupe is a staple in Peru's picanterias. I was reading that most people can do ceviche but Chupe is another level that can only be mastered by some. I won't say I have mastered it but..wow...this was a delicious and fantastic dish. The soup dates from the early 1900s and is not an every day soup. It is a weekend soup because it requires peace, tranquility and, most important, it fills the air with an unforgettable aroma that will be in your memory for ever..
Legend says that in the Inca era, when the sons of the main warriors achieved puberty they were to fast in order to withstand war . During those 15 days the young guys could only eat bollos (bread made of maiz) and water. 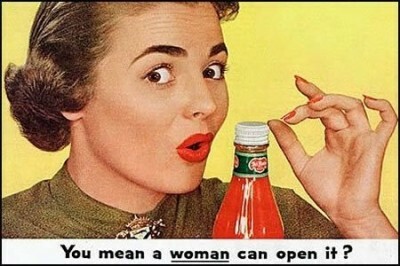 Once they completed the test, beautiful women would come to pick up one of them at the time and offer them a mix of tomato, aji, huatacay and other spices for the guy to lick from...well..from...well..I don't remember from where but what I know is that the licking part was called chupe. Once this was done and they convinced the boys that they had to give a chance to other men to do the same..they were named warriors. 1 Small Butternut Squash (about 1 1/2 lb), chopped in 1/4 inch chunks, obviously without skin and seeded. 1.In a large pot (I mean..large like the one used to cook pasta in) and heat over medium heat the oil. Once is hot, add the shrimp (wash it first) and add 1 teaspoon of salt. Cook stirring frequently until the shrimp are pink and firm, about 7 minutes or so. Remove with a slotted spoon, set aside and allow to cool. Once they are cool, remove the heads and peel. Reserve. 2.Add to the pot the onion, paprika, cumin and another teaspoon of salt. Cook for about 5 to 7 minutes until the onions are translucent. Add the squash, the potatoes, the corn and the water. Cover and bring to a boil, then reduce the heat to simmer, partially covered, until the potatoes are tender -but not soft!-, between 12 to 15 minutes. 3.Add the cream and simmer for another 20 minutes, then stir in the shrimp and the last teaspoon of salt (I added INSTEAD a knorr Onion-cilantro cube- and the frozen peas. Cook until the shrimp are just heated through, about 5 minutes. So, winter still is here and comfort food is in order. Soup is always a good welcoming food when you get home. This soup is quite tasty and should NOT be spicy. It has some texture to it that is complimented with the poblano pepper slices and the whole pieces of corn. I have a good selection of Mexican Cook Books -as Mexican cosine is one of my favorites- and of all my books I couldn't get a descent recipe that I would think is honestly fantastic. So..I blended some of the recipes, adapted them and I got this splendid soup that the current wife loves. I can eat it too as it is not spicy and I would't hesitate to prepare it in the rare occasion when we have guests for dinner. Roast the peppers on the BBQ or the stove until they brown a bit (we don’t want to burn them! ), then put them inside a plastic bag and close it so they can sweat for 20 minutes or so. Slice the peppers in 1/2 inch slices and reserve. On a small pan, caramelize the onions using the butter. Reserve. Using your blender, blend the following in 3 batches (this is important) at high speed: 3 (not 4) peppers, 3/4 of the canned corn (not all), the cream, the milk and the grated cheese. Using a medium pot, cook the blended mix until it boils, then reduce the heat to simmer and cook for 20 minutes, with lid on. Mix every 5 or so minutes so the cheese doesn’t go to the bottom. After the 15 minutes add the onions and the Knorr cube and keep cooking it for another 20 minutes (simmer), lid on and keep moving it every 5 minutes or so. Turn off the heat and remove any foam until we only see the cream. Add the remaining sliced poblano pepper and the remaining corn and mix well. Times change and people change the way they see the world. Nowadays being politicly correct is the new black and somehow we all have become more sensitive to..everything. I was reviewing some adds from the 50's and they are, in our eyes today..quite..insulting?. I think they are funny though but I am one of those odd people who thinks that humor is a must. When I was looking at this ad two questions came to mind: one is..really? and the other one is..is this why they have easy open bottles now? Besides cooking, I have other hobbies like watching movies. I have been watching movies since I was a tween. I never stopped watching and still I do, Just not that much at the movie theatre but on DVDs or Netflix. 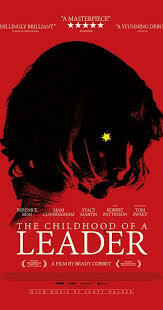 I have decided to share from now my views on what I have watched recently..and my first one to review -more like comment, really- is Brady Corbet's Childhood of a Leader. This mega young film director shines in his approach to the roots of a dictator. You could say that the movie is based on Sartre's short story..which probably is..but his approach exploring the origins and reasons for a ruthless dictator to do, well, what they do. Honestly we know the names and worst actions of some dictators but really we never stop to think: where this guy came from?, that is, not the rise and fall of this kind of addicted to power people -if we can call them that-. I can't imagine a happy childhood of Franco, Hitler, Hasina, Stalin, just to name a few. I don't think we should blame their parents because that would be unfair as an individual has his own personality regardless. The movie explores that: the result of a bad mix: parenthood, growing up environment and, most important of all..their own personality. Prescott is a 10 year old kid that on his own is a petulant psychopath and well.. the environment where he grows is the proper media to become a dictator. The movie moves fast, the acting is fantastic and the script is riveting. I enjoyed it a lot and it has been stock in my head since I watched. If yo care for intelligent storytelling this movie should be on your list.